Award wining Gospel artiste, Nikki Laoye has released a new single titled "Superhuman Superwoman. 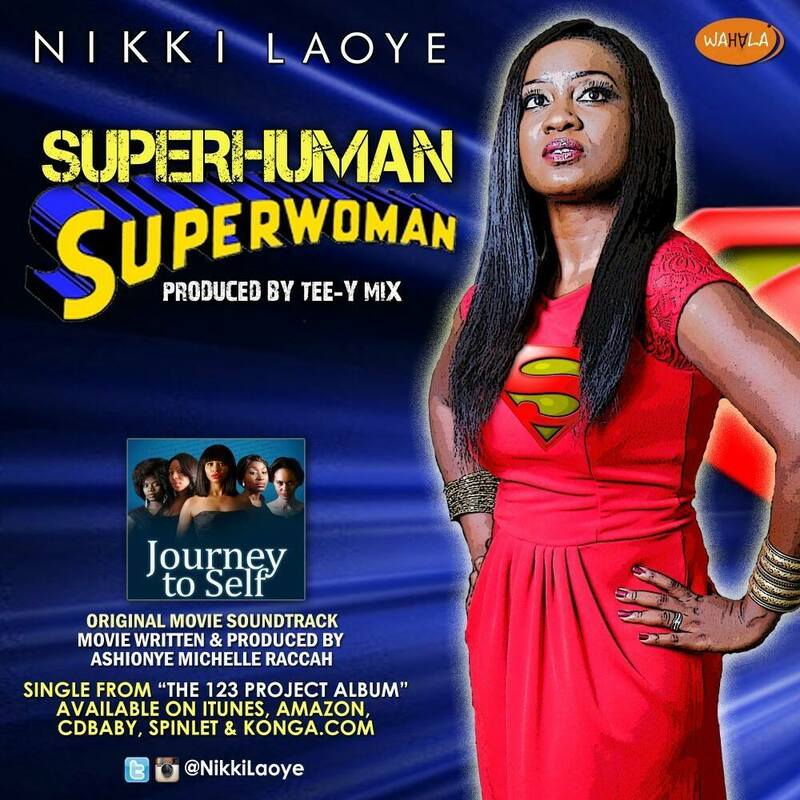 This single is the official movie soundtrack of the Nollywood movie - Journey To Self. The song is also from the album "The 123 Project Album." Journey to Self is a 2012 Nigerian drama film written and produced by Ashionye Michelle Raccah and directed by Tope Oshin-Ogun, starring Nse Ikpe Etim, Ashionye Michelle Raccah, Dakore Akande, Tosin Sido and Katherine Obiang. It received a nomination for the category Achievement In Soundtrack at the 9th Africa Movie Academy Awards. The film tells a story of 5 childhood friends who converge at the home of one of them who just died, she leaves a series of letters that explains her struggles through life and eventually leading to their "self discovery".